SUMMARY: Don’t be fooled by the title. This is not just a book about witches. There is no hell, there is only unfinished business. This New Year’s Eve something shady’s going on in the city of Amsterdam. The dead walk the streets, but they’re not alone. A teenage witch trapped in the body of a five year old. A deceased rock and roll star with an identity crisis. A librarian with the dress sense of Edina from Absolutely Fabulous. A mysterious entity with the power to influence the weather. All pursued by an assailant with a hell hound as an assistant. THE BACK STORY: The original premise for the book was inspired by my children. My daughter loves the colour purple. Her middle names are Anaïs Blue. My children asked me to write a story for them so I made one up. It became the first chapter in the novel. I came up with a short story about a witch who is trapped in the body of a five year old. She hates the colour blue so much she wants to change her name. Unfortunately, witches can’t change their names, didn’t you know? My children wanted more, so I kept writing. The story grew…and grew…it’s still growing. I am now halfway through writing the second book of what I expect will be a series. The novel also turned into something very adult, it is not a children’s story. I wouldn’t read it to a five year old, although I have read the entire novel to my eight year old. He understands most of it. WHY SOMEONE WOULD WANT TO READ IT: I decided to write a different witch book and flip the whole genre on its head. I purposely steered away from the medieval viewpoint of witches. So, there are no broomsticks, magic wands or pointy hats. I also wanted to write about a good witch instead of the traditional “evil” one. In ancient cultures witches, shamans and others weren’t considered bad, they were the only ones who could communicate with the dead. The story follows, not only a witch as she comes of age, but her primary task which involves saving the souls of the dead. In my debut novel, Loreless, I traced the journey of an Australian Aboriginal coming to terms with himself and his heritage. In some way Complicated Blue follows similar themes. Anaïs Blue goes through a transformation as does the deceased person she has to save. At the heart of the story is the journey we all take through life, to find out what it is we are really supposed to be doing. For me that was discovering I should be a writer. Having said all that, it was important to me that the story be entertaining. I have packaged the message into an adventure story with thrills, mystery and suspense. My readers have not been disappointed. It’s so difficult to write good stories about witches. You need a really unusual angle. And those are hard to find. Having a witch in a child’s body is very clever as it takes the reader on the same journey of discovering her talents as the good witch. And this is not all of it. I read Loreless and really liked this author’s style. Let’s see what he comes up with next! From the cover and title to the last word, Complicated Blue captivated me. It’s the story of a modern witch, but forget Bewitched — the witch in question is locked in a child’s body. She still has a lot to learn about being her kind, however, and that includes how to deal with “shades” (the dead whom she can see) and Grand Inquisitors. It’s original, wonderfully written and at turns light and dark. I loved it! 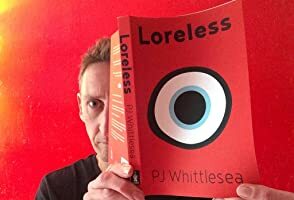 AUTHOR PROFILE: P. J. Whittlesea is an author, blogger and singer-songwriter. Originally from Australia, he now resides in Amsterdam in The Netherlands. His debut novel LORELESS, released in July 2016, has garnered almost exclusively 5 star reviews. 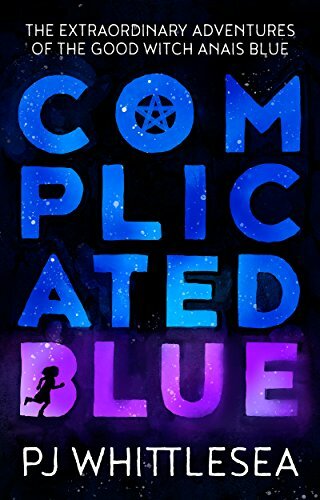 COMPLICATED BLUE, his latest novel, is the first in a series following the adventures of the good witch Anaïs Blue. P.J. Whittlesea never dreamt of being a writer, he dreamt of being a rock star. For a short period of time he was. However, he found the Gothic music scene not to his taste. He also found wearing nail polish and stage-makeup, as well as constantly attending to a Mohawk hairstyle, far too much work. He returned to his roots as a singer-songwriter and set to work writing a musical. The musical never reached fruition, but the idea behind it stuck with him. Once he had come to terms with writing something longer than a song lyric, he took on the daunting task of creating a full-length work of fiction. Within a short period of time the story behind the musical became his debut novel LORELESS. He is currently lost in the alternative world of the good witch Anaïs Blue and doesn’t want to return to reality.